Basurto is a Mexican born painter and sculptor. He studied at the School of Visual Arts in New York City as well as the Universidad Iberoamericana in Mexico city. 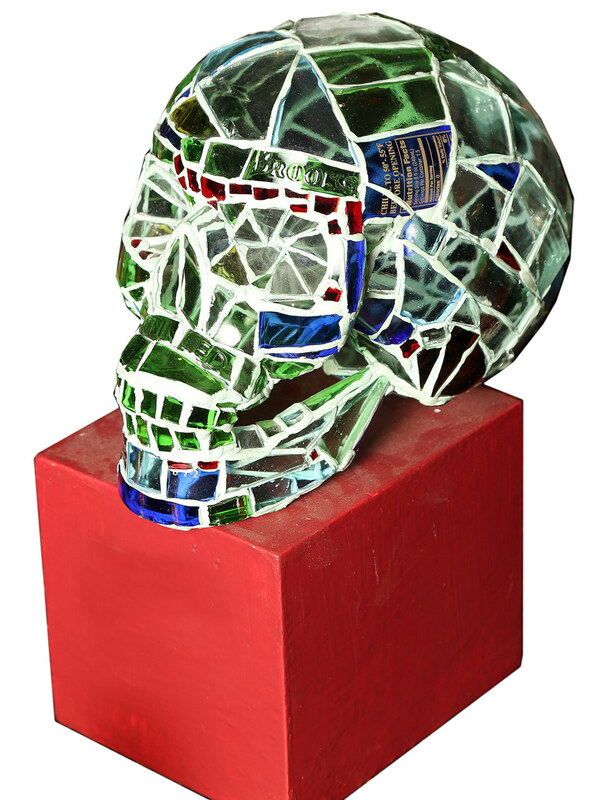 His mosaic work, made from broken bottles and held together with epoxy resin, expose his belief in the fragility of being human. 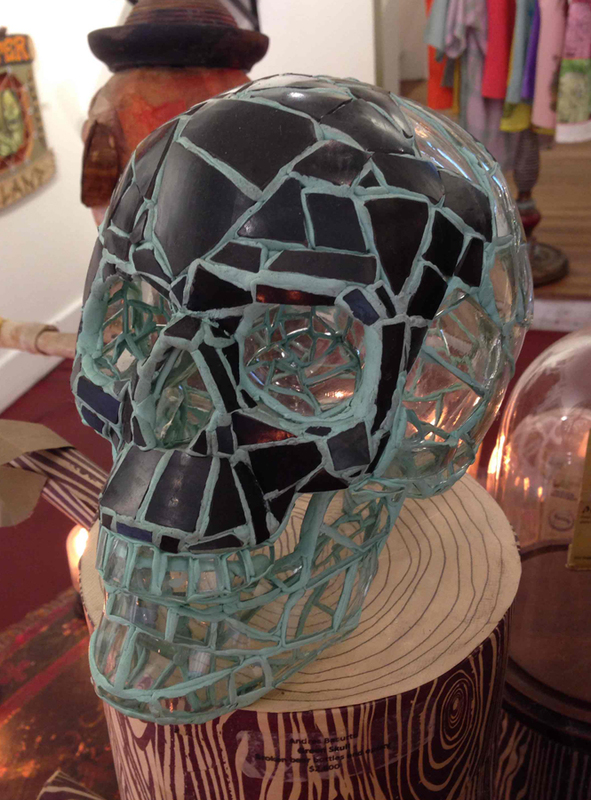 After all, there is only that thin skull of ours that is the barrier between our minds and the brutality of nature.